Investors Dream! 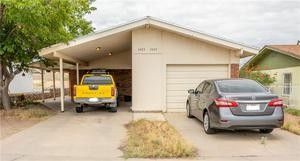 Located near Dyer close to shopping, quick access to Fort Bliss, backyard mountain views and much more! This 5 bedroom 2 bath duplex property is tenant occupied for 5 plus years and is a great income asset! Call today for more info!